Bid On Energy LED Lighting program with no money out we will retrofit lighting with LED lights for your company. 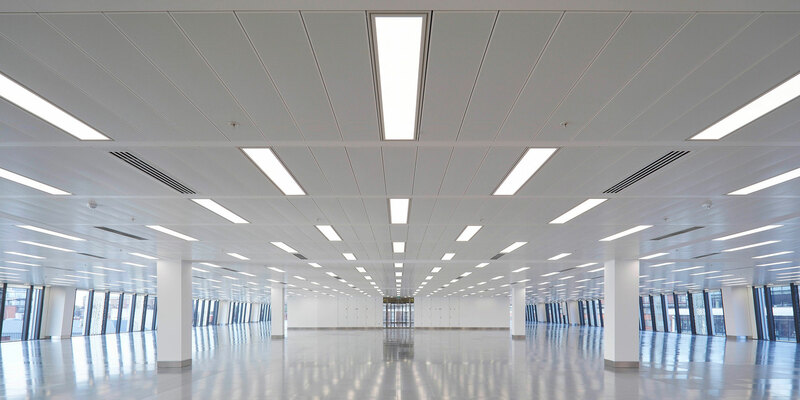 Fund LED Lighting for your commercial business here we provide LED lights retrofiting for your business to achieve your efficiency goals with no upfront capital. With LED Efficiencies our team of energy market professionals will identify and retrofit for efficiency measures for your business. This unique LED Lighting retrofiting solution could help you realize cost savings through a reduction in consumption and improved load profile. All LED Efficiency measures will show up as a line item on your Energy Bill with flexible 36 to 60 month contract terms. Flexible 36 to 60 month contract terms. The cost of the upgrades will appear as a line item on your bill. Cost savings through reduced energy consumption. Ability to install energy solutions today, but delay EME payments up to 24 months. Access to cutting edge energy and efficiency products with Constellation Technology Ventures. The right combination of LED Retrofit Lighting Technology, energy efficiency and energy supply can directly impact your bottom line. In addition to conserving energy, developing an onsite generation asset can help optimize energy loads and reduce costs. Coupling shorter term payback projects like lighting replacements with distributed generation can improve overall project economics.